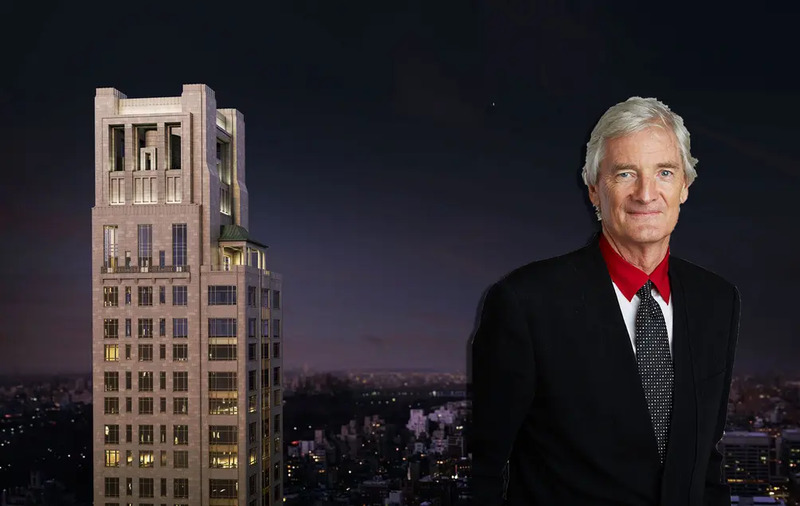 In the biggest sale of the year, Sir James Dyson is reported to have closed on a 6-bedroom, 7.5-bath duplex penthouse in the Robert A.M. Stern-designed 520 Park Avenue, which is a short distance from his namesake company's Fifth Avenue flagship. Both levels are connected by a sweeping central staircase and filled with incredible natural light and 360-degree views of the Manhattan skyline and Central Park. There is also a private, 279-square-foot balcony. 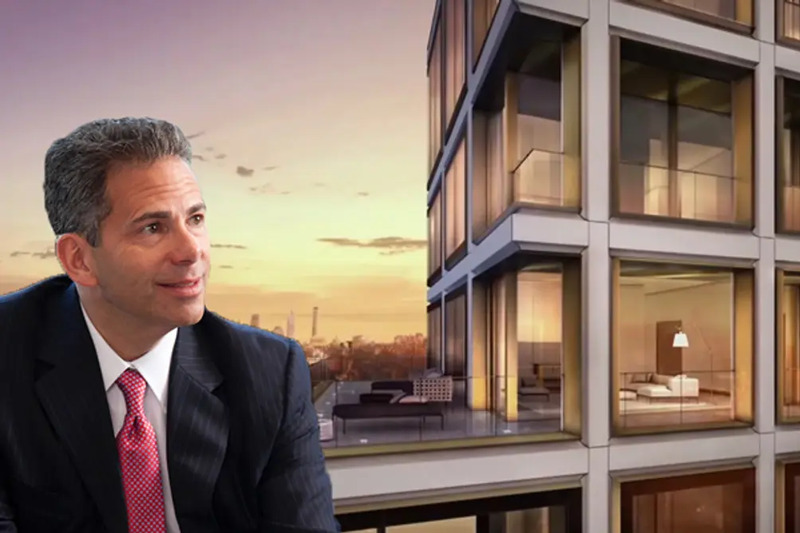 In his professional capacity as CEO of Howard Hughes Corporation, David Weinreb is no stranger to some of the city's most prominent real estate developments. 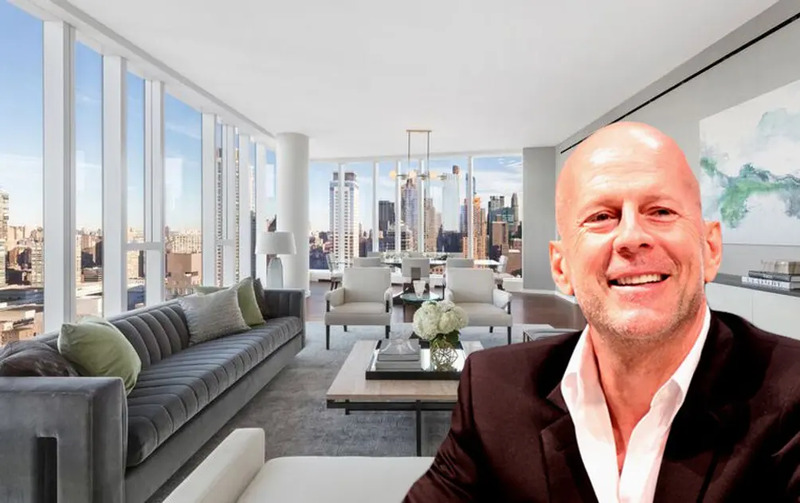 On a personal note, early this year, he was revealed to be the buyer of a spacious penthouse in Pritzker Prize laureate Lord Norman Foster's 551W21, just blocks from the High Line and the Hudson River. The Post reports that the 6,400-square-foot condo is being delivered as an unfinished "white box" with a private, 4,579-square-foot roof terrace and 61-foot pool. As Uber co-founder Travis Kalanick plans his next venture, he will be able to do so from a magnificent Soho penthouse originally listed for $40.5 million in a building designed by Pritzker Prize laureate Renzo Piano. The apartment will be reached by private elevator and open to a gracious foyer leading to a Great Room with soaring ceilings, floor-to-ceiling windows, wet bar, and two private terraces. The crowning glory is a 2,500-square-foot private roof terrace with an outdoor kitchen, 20' heated pool, and panoramic city and river views. Stephanie March is best known for her role on the Manhattan-based Law and Order: SVU, and her latest New York production can be found in the West Village: The penthouse in The Shephard is one of two units that she and husband Daniel Benton are combining into one spectacular five-bedroom home with a 3,451-square-foot terrace. Features include oversized windows, barrel-vaulted ceilings, oak floors, and a fireplace. The amenity-rich condo conversion offers a paneled library, private garden, arcade and Ping Pong club room, and fitness center with climbing wall. 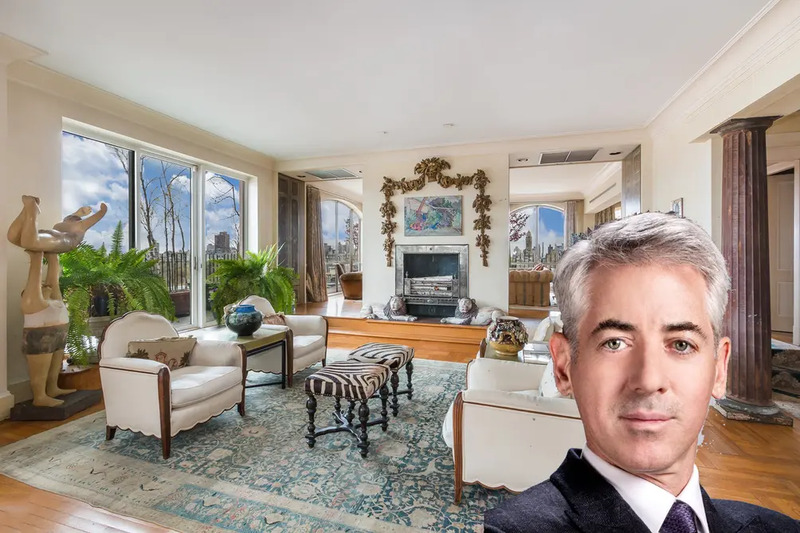 With Pershing Square Capital Management founder William Ackman, it's hard to say whether his wealth or his New York real estate holdings are more impressive. He has owned two units at the landmarked Beresford, bought the penthouse at One57 as a "fun investment," and most recently purchased author Nancy Friday's sprawling Upper West Side penthouse. The apartment occupies the entire 17th floor and part of the 16th, and contains barrel-vaulted ceilings, wraparound terraces, and a secret room accessed through a hidden panel in a decorative column. The very generous proceeds from the sale will be used to start the Nancy Friday Foundation, which will support emerging writers and animal welfare. Alice + Olivia shoppers are well aware of founder Stacey Bendet Eisner's sense of style. She brings that to The Dakota, where she and husband Eric Eisner purchased two adjacent apartments. The power couple is the latest in a line of esteemed owners: One of the apartments was rumored to be the home of Judy Garland, and its most recent owner, Jacqueline Bikoff, was a ballerina, pianist, and Studio 54 fixture. The other was rumored to be owned by Roberta Flack. Both apartments feature multiple exposures, wood-burning fireplaces, original mantles and moldings, and amazing prewar details. 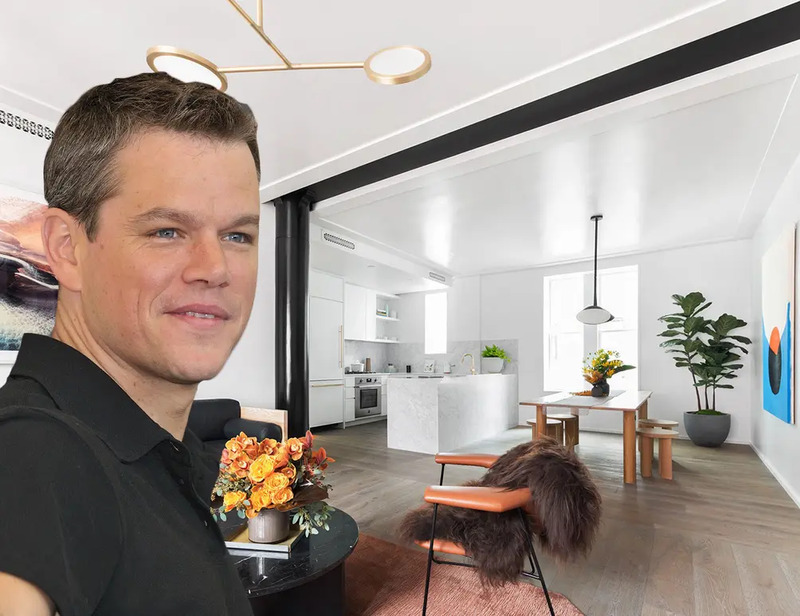 At the end of last year, Academy Award winner Matt Damon was said to have gone into contract for a penthouse in the condo conversion of Brooklyn's Standish Hotel. 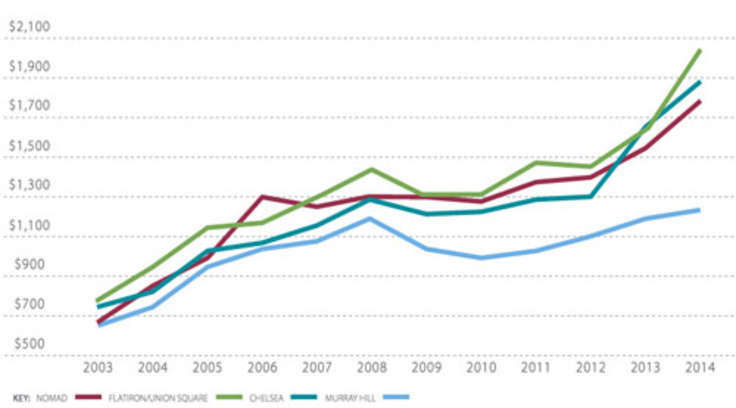 Now he is officially the owner of the most expensive home in Brooklyn. The penthouse spans three floors, which include the roof, and features soaring ceilings, large windows, and gorgeous views of the Statue of Liberty and the East River. Building amenities and staff include a 24-hour doorman, concierge services, fitness center, children's playroom, and bike room. Until Matt Damon's purchase (see above), Hollywood couple Jennifer Connelly and Paul Bettany held the record for the most expensive Brooklyn property with the off-market purchase of this Brooklyn Heights townhouse. The 25-foot-wide, 8,000-square-foot home is said to boast incredible views of the Statue of Liberty and the Lower Manhattan skyline. They made the move after selling their Tribeca penthouse for around $9 million. 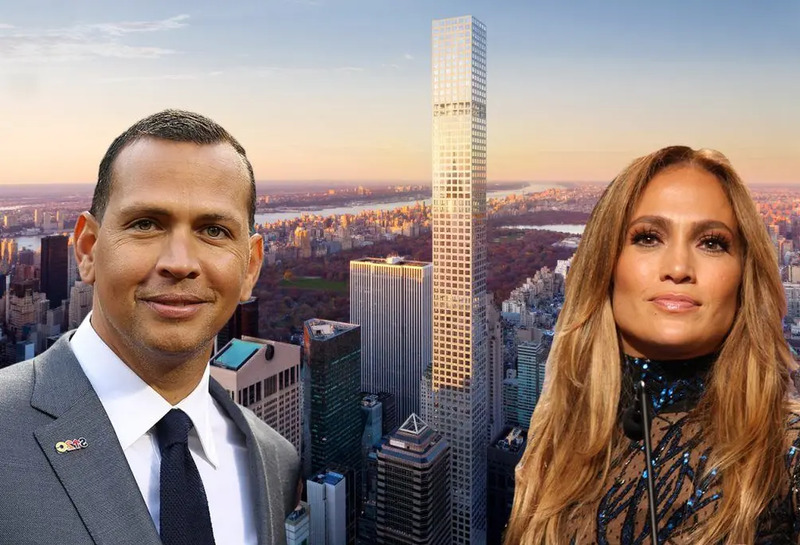 Power couple Jennifer Lopez and Alex Rodriguez are no strangers to grand style, an attitude that carries over to their purchase of a home in the world's tallest residential tower. Their 4,000-square-foot apartment has 3 bedrooms, 4.5 baths, and sweeping views of Central Park and the New York City skyline from multiple exposures. Building amenities include a private restaurant, lounge, screening/performance room, fitness center, and 75-foot indoor pool. A Star is Born director and star Bradley Cooper is "far from the shallow now" with the quiet purchase of a 6-bedroom, 4,000-square-foot townhouse on a peaceful Village street. The home has a balcony overlooking its 1,100-square-foot landscaped private garden with partial deck and built-in grill. Interior features include soaring ceilings, reclaimed barn wood floors, gas-burning fireplace, hidden wet bar, chef's kitchen, full-floor master suite. The cellar level houses a 1,000-bottle, temperature-controlled wine cellar and a media room with built-in 65" flat screen television and surround sound. In an off-market transaction over the summer, In the Fade star Diane Kruger and The Walking Dead star Norman Reedus bought a Federal-style townhouse in the West Village. The 5-bedroom, 4-bath, 3,800-square-foot home was built in the 1800's and remains rich in historic details after an extensive renovation. Features include a private garden, fireplace, gourmet kitchen, and roof terrace with panoramic views. 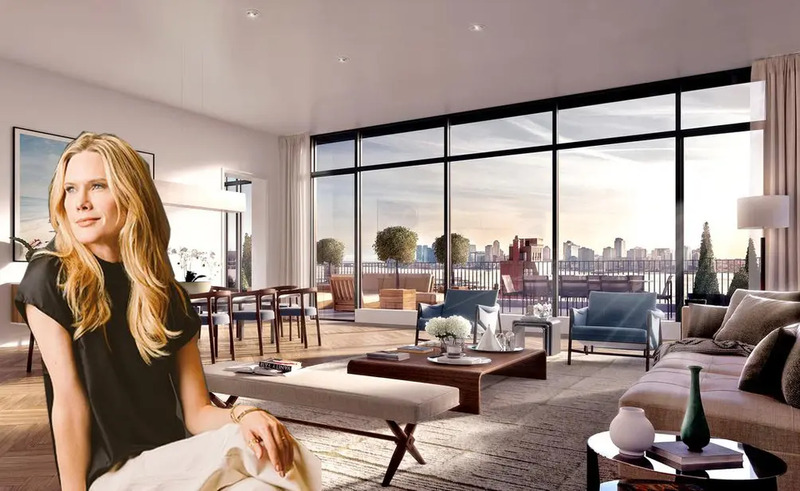 This is not the couple's first foray into New York real estate; The Wall Street Journal reports that Ms. Kruger has also listed her Tribeca loft, and that Mr. Reedus owns a Little Italy penthouse. For power producer Shonda Rhimes, it was a "year of yes" in New York when she bought a penthouse in a Rosario Candela-designed building that defines Upper East Side elegance. The recently renovated apartment features a planted wraparound terrace, soaring ceilings, southern and eastern exposures, wood-burning fireplaces, a state-of-the-art kitchen, and restored original architectural elements. Both bedrooms have en suite baths, and the master suite offers access to the terrace. This spring, pop star Zayn Malik's breakup with Gigi Hadid was quickly overshadowed by his purchase of a Soho penthouse in a former silk showroom. The 3,597-square-foot, 4-bedroom, 4-bath condo is rich in original details like exposed beams, 12' vaulted brick ceilings, and steel columns. However, the kitchen is a state-of-the-art masterpiece with high-end stainless steel appliances that include a double oven and wine cooler. The true crowning glory is a 1,061-square-foot private roof terrace. In 2016, John Legend and Chrissy Teigen sold their stylish Nolita loft following the birth of their daughter. Two years, one newborn son, and several awards later, the power couple has returned to the building but taken a much larger penthouse this time around. The 2,610-square-foot condo has eight oversized windows, a gas fireplace, two luxurious master suites, and a private roof garden with irrigated plantings, outdoor sound system, and motorized projection screen. And most importantly for the writer of best-selling cookbooks, the apartment has a chef's kitchen with integrated Miele appliances and an enormous white quartz island. While 2018 wasn't one of Bruce Willis's bigger years for movies, his New York real estate dealings kept him quite busy all the same: He and wife Emma Heming Willis found a buyer for their 6-bedroom Central Park West home within one week of listing the property for $17.75 million, and quickly downsized to a 4-bedroom apartment in One West End, a new and exquisitely detailed tower. Floor-to-ceiling windows look out on sweeping skyline views, and a chef's kitchen comes with a dedicated pastry-making area and built-in coffee machine. Amenities include a fitness center with a 75-foot pool, a garden terrace with cabanas, a media room, a game room, and on-site parking. Ariana Grande and Pete Davidson's whirlwind romance was impossible to ignore in 2018, and that spilled over into the real estate arena as well: The couple was reported to have moved into a $16 million apartment in the High Line-adjacent building designed by starchitect Dame Zaha Hadid. While it was not confirmed whether the couple had bought or rented the apartment, we do know that the 5-bedroom, 4.5-bath apartment has a 4,000-square-foot floor plan, a setback terrace, and incredible views of the High Line and the Empire State Building. Building amenities include a private IMAX theater, a 75-foot saline swimming pool, a fitness center, and an automated garage.